Versatile, experienced and professional – our instructors have been trained by us to deliver the highest quality courses. Each instructor has a minimum of 10 years service in one of the UK fire services. The Fire Training Academy is an approved provider by the Institute of Fire Engineers, and is a member of the British Fire Consortium and the IFPO. We also hold ISO9001:2000 so you can be sure that we operate to the same high standards every time. We also offer Fire Risk Assessment services, performed by our experienced consultants, who have had many years experience performing risk assessments, and many other services to provide a complete fire safety solution to help you protect your business. Our five main courses cover all possible fire safety training requirements. These are an excellent package of approved, tried and tested courses, already used by many organisations across the UK. When a fire breaks out it creates a lot of chaos. But taming the fire and controlling the chaos is a must. Fire safety training courses from UK based Fire Training Academy trains you for such situations. The Fire Safety Training For Managers course is designed for managers who are responsible for fire safety in the workplace to make them aware of the legal requirements. Protect you and your business by booking your staff on a fire safety training course today! Fire Wardens (Fire Marshals) are a must. Their expertise helps tackle hazardous fire situations. Every company or organisation must have their own fire warden. And UK based Fire Training Academy offer fire warden training courses that has proven to be a success. 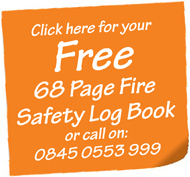 Book a fire warden/marshal training course right away by dialing 0845 0553 999. Fire Wardens (Fire Marshals) must be appointed, where necessary. They help to assist the responsible person in providing safety assistance in the event of an emergency. Fire Training Academy offers an excellent package of approved tried and tested Fire Warden Training, already used by many companies and organisations across the UK. Their fire warden training courses have got them enough acclaim. This fire awareness training course has been designed to give individuals the necessary information, knowledge and training for them to be competent in basic fire safety. The law requires all employed personnel to have adequate fire safety training. Simply call UK based Fire Training Academy who offers fire awareness training courses. Call us now on 0845 0553 999 to book, or complete our Online Booking Form. Fire risk assessment courses from UK based Fire Training Academy is all you need in case a fire breaks out. This 1 day fire risk assessment course has been designed for managers and supervisors. Fire Training Academy has the best of paraphernalia and team to train you and your colleagues in fire risk assessments. Call us now on 0845 0553 999 to book, or complete our Online Booking Form. See what our customers are saying about our courses! !